Blind faith in the U.S. dollar is perhaps one of the most crippling disabilities economists have in gauging our economic future. Historically speaking, fiat currencies are essentially animals with very short lives, and world reserve currencies are even more prone to an early death. But, for some reason, the notion that the dollar is vulnerable at all to the same fate is deemed ridiculous by the mainstream. Years before there was ever an inkling of a trade war, multiple nations were establishing bilateral agreements that would cut the dollar out of trade. China has been a leader in this effort, despite it being one of the largest buyers of U.S. Treasury debt and dollar reserves since the 2008 crash. In the past few years, these bilateral deals have been growing in scope, starting small and then expanding into massive agreements on raw commodities. China and Russia are a perfect example of the de-dollarization trend, with the two nations forming a trade alliance on natural gas as far back as 2014. That agreement, which is expected to start boosting imports to China this year, removes the need for dollars as a reserve mechanism for international purchases. China has even instituted its own petroyuan market, and the first shipments of oil from the Middle East to China paid for through a petroyuan contract occurred in August of this year. Mainstream economists like to point out the small portion of the global oil market that the petroyuan represents, but they seem to have missed the bigger picture entirely. The point is, now an alternative to the petrodollar exists where none existed before. And this is the crux of the issue that needs to be examined: The trend towards alternatives. The U.S. government has exploited extensive economic control using influence on SWIFT, including mass surveillance of international financial transactions and denying countries like Iran access to SWIFT through sanctions. In the past, the U.S. has seized funds being transferred through SWIFT between banks outside of U.S. borders, including entirely legal transactions, indicating that the U.S. has overt control over the system. The world reserve status of the dollar, combined with U.S. influence over the most important tool in international banking transactions, has solidified U.S. fiscal dominance for many years. But the dollar’s reign is quickly coming to an end, as global banks like the IMF seek to centralize monetary authority under a single world structure. The great illusion being perpetrated is that the “multi-polar world order” that is arising is somehow “anti-globalist”. This is simply not the case. So what is actually happening? 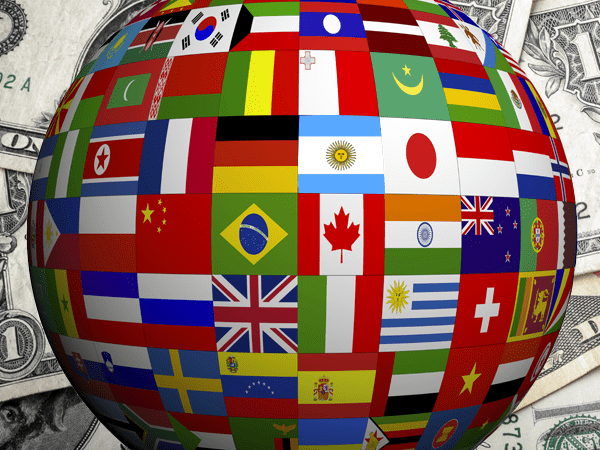 The world is getting smaller as everyone EXCEPT the U.S. is consolidating economically. This includes alternatives to SWIFT. As part of the effort to undermine U.S. sanctions on Iranian oil, the EU has established a program to construct a new SWIFT system outside of U.S. influence. It is a model that Russia, China and Iran have signed on to, and news that have gone mostly ignored by the mainstream. The Wall Street Journal begrudgingly reported on the development but dismissed it as ineffective in thwarting U.S. sanctions. And this seems to be the consensus among the MSM – to shrug off or ignore the implications of an alternative SWIFT. Dollar bias rears its ugly head once again, and the dangers of this kind of denial are many. The dollar can be, and is being, bypassed through bilateral trade deals. U.S. dominance of oil markets is being bypassed through alternative petro-contracts. And now, U.S. control of financial networks is being bypassed through alternative SWIFT programs. The only thread that is holding the dollar and, by extension, the U.S. economy together is the fact that these alternatives are not widespread yet. But this will inevitably change. So, the question is – When will this change? I believe the pace of the trade war will dictate the pace of the de-dollarization shift. The more aggressive that tariffs become between the U.S. and the group of China, Europe and Russia, the faster that already existing alternative systems will be implemented. Currently, the speed of the U.S.-China conflict suggests a move away from the dollar and into an international basket of currencies by the end of 2020, with the process taking approximately another decade to become concrete. With current tariffs encompassing at least half of Chinese trade, and the other half under threat if China retaliates in any way, I believe that it is only a matter of months before China uses its own dollar and treasury reserves as a weapon against the U.S. But do not expect Europe to come to the aid of America if this happens. To me, it seems to be clear from the EU’s recent behavior that they plan to remain neutral, at the very least, during escalation, if not fully side with China and Russia out of economic necessity. Preparing for this event requires as much financial independence as possible. This means tangible alternatives to the dollar, like precious metals, and localized economies based on barter and trade. Once the dollar loses world reserve status, the transfer of price inflation into the U.S. will be immense. Dollars held overseas will come flooding back into the country, as they will no longer be needed for international exchange of goods and resources. This switch could occur very quickly, like an avalanche. Do not expect much of a warning before foreign creditors dump dollar-based assets, and do not expect a large window of time before the negative effects are visible on Main Street.